Eric Levine is the Host of the Tip Not Included podcast and a veteran of the New York City restaurant scene. He’s currently HR Director of a 14 restaurant group in the city, overseeing some 2,000 employees. 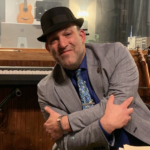 Eric Levine is not only a rock star in restaurant human resources, but he could be a radio and tv personality with a hug following if he so chooses.